When the leaves fall, Fletcher Fox worries about his favorite tree. The author rescues a red-tailed hawk with a broken wing. Henry grieves over the destruction of his beloved forest and must learn to survive in a more urban world. Hilarious and sometimes heartbreaking story of Pale Male as he and his mate struggle to raise a family in an unprecedented nest site. Michael Eickman will present a program on hawks, owls, and eagles. Mike has been banding raptors at the Sand Bluff Bird Observatory for over 25 years. Saturday, Nov. 5, 10:00 – 11:30 a.m.
Meet in front of the Mogle Center at Oakdale Nature Preserve, 4433 S. Cranes Grove Road. 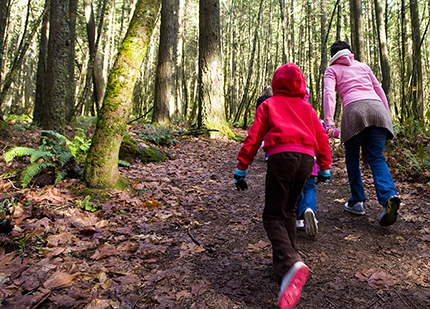 We will lead a hike around Oakdale and look for birds and other fall creatures before the snow arrives! We will have binoculars for the kids and family members to use and nets/jars to observe any critters we can find. Participants should dress for the weather with good hiking footwear. Contact leader Juliet D’Souza at 201-233-0946 to register and/or if weather is questionable. The Red-tailed Hawk is a medium-sized bird of prey known as a raptor. 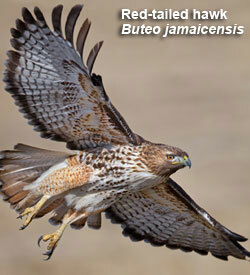 They are probably the most common hawk in North America. If you go on a long car ride, you might see them soaring above big, open fields, or on top of telephone poles, eyes fixed to the ground looking for a rabbit or other small mammal. If you see one in the air from a distance, you might think you are seeing an eagle (until an actual eagle comes along). Most are rich brown above and pale below with a streaked belly. The tail is usually pale below and cinnamon-red above, though in young birds it’s brown and banded. 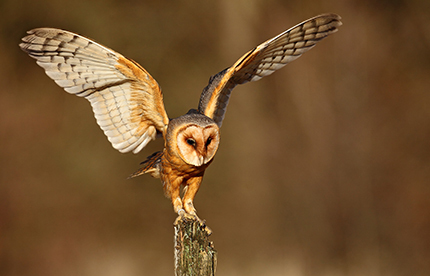 They have broad, rounded wings and short, wide tails, and you often see them soaring without flapping. You probably won’t see this bird in your backyard, but go for a drive and look on the tops of telephone poles and fenceposts. 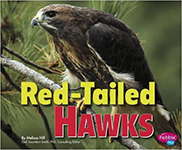 See if you can research some information about a Red-tailed Hawk called Pale Male, a famous resident of New York City. The call of the Red-tailed Hawk is a raspy, scraping, screamed “kree-eee-ar.” The raspy cry of the Red-tailed Hawk is often used in movies to represent an eagle or a hawk anywhere in the world. * Information taken from Cornell Lab of Ornithology site All About Birds and the Washington NatureMapping Program. Collect the colored leaves, noting the different shapes and colors. Talk about the trees from which these leaves fell: have the kids learn to identify two or three trees like maple or oak by their leaves. 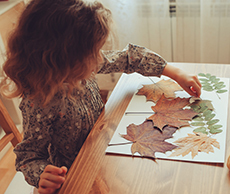 Take the leaves inside; have the kids choose the ones they want and arrange them on pieces of poster paper. As you do this, talk about why the leaves change color  an excellent book for this is Why Leaves Change Color by Bette Maestro and Loretta Krupinski; for children 7 and up, another good one is one by the same title by Terri Hicks. Which birds and animals depend on the trees? How do the birds and other animals use the trees to help them get ready for winter? Talk about the tree as a habitat or living space. Compare a tree to your own home or habitat. How are they alike and different? Be Sure to Jump in a Pile of Leaves!